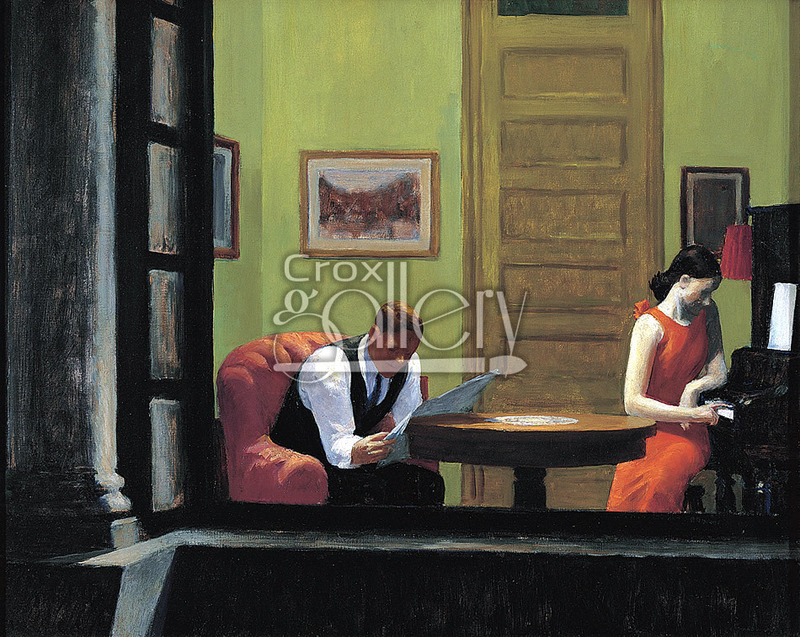 "Room in New York" by Hopper, Oil Painting Reproduction. 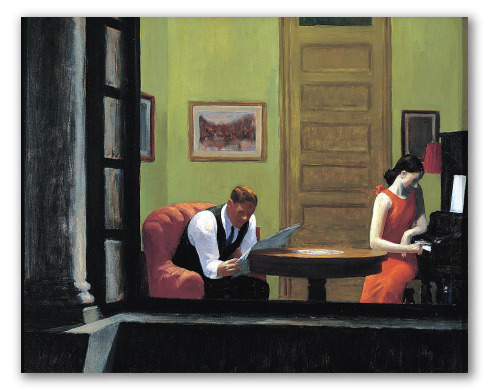 Room in New York was painted by Edward Hopper. It portrays a social scene characteristic of the United States in the 20’s in his particular style. Ideal for decorating bohemian spaces.